On Oct. 13, the Oregon Department of Fish and Wildlife confirmed a wolf depredation on a calf in the Grouse Creek drainage area on public land southeast of Joseph. According to the report, a rancher moving cattle in the area noted wounds on the back legs of a 500-pound calf on Oct. 12. The rancher trailed the calf and other cattle to a private pasture. On the following morning, the ODFW examined the calf and determined its wounds were about a month old. The department noted bite wounds on both hind legs above the hocks with the wounds mostly healed but with evident scarring, though some flesh remained exposed. 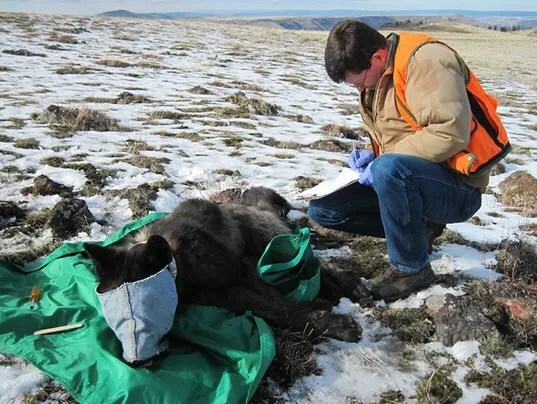 No physical evidence of wolf presence was found since the exact location of the calf at the time of injury was unknown. Previously, ODFW confirmed a wolf depredation in an adjacent pasture on July 15 and also confirmed a pair of wolf depredations on Sept. 28 and Oct. 6 approximately 8 miles to the north. Also on Oct. 13, the ODFW confirmed a separate wolf depredation it investigated Sept. 6 in the Devils Run Creek drainage area. During the morning of Sept. 4 an archery hunter heard a bawling sound and walked toward it. Shortly afterward, at about 7:15 a.m., the hunter observed six wolves jumping around an object on the ground. Returning to the site with a camera at about 7:30 a.m., the man found a dead, 1‐month‐old calf where the wolves had been. The livestock owner and ODFW were contacted two days later and ODFW immediately investigated the site. Although lacking a carcass, drag marks suggested the calf had been moved to another location and consumed. ODFW didn’t receive the hunter’s photographs until early October. Those photos show a gray wolf walking near a group of bunched‐up cows and close‐ups of the dead calf with minimal feeding in the flank area. ODFW confirmed the location of the photographs. As evidence of wolf depredation, ODFW cited wolf tracks observed at both the struggle and carcass sites. Seven separate blood stains also were found on the ground 8‐15 yards east of where the hunter found the carcass. That indicates a struggle site where the calf bled prior to death, and matches the hunter’s testimony. The photographs show blood stains in the calf’s jaw and throat area with no apparent open wound or feeding activity, which indicate a premortem injury, ODFW said. Additionally, GPS radio collar data for wolf OR-42 showed its location as approximately 600 yards east of the carcass site at 3 a.m. Sept. 4, approximately 350 yards northwest of site at 6 a.m. and approximately 600 yards east of the site at 9 a.m.
OR-42 is a member of the Chesnimnus Pack. SALEM, Oregon – Wallowa County wolves are behind two new acts of depredation. Both attacks were against calves, and one was caught on film by a hunter in the Devil’s Run Creek drainage. The hunter spotted six wolves clustered around an object that proved to be the body of a calf. He sent pictures of a wolf near a group of cattle and of the corpse of the calf. It’s a good thing he did. By the time investigators arrived there was no carcass. What they found instead was blood, wolf tracks and drag marks where the carcass had been. The Chesnimnus Pack is charged with the kill which was reported in September, but the result wasn’t announced until this week. The second depredation, which was found last week in the Grouse Creek drainage area, is also thought to have occurred a month earlier. A 500-pound calf was found to be suffering from injuries that are consistent with a wolf attack. Investigators say that an unnamed group of wolves in that area are responsible. That group of wolves is also credited with two other acts of depredation since late September. OLYMPIA, Washington – The Washington Department of Fish and Wildlife has decided to stop killing wolves in the Profanity Peak Pack. Lethal action against that pack in northeastern Washington was ordered after numerous attacks on cattle occurred. As a result of the kill order, seven members of the pack were shot dead. WDFW also reports a pup from that pack died of natural causes. That means only four wolves remain in the pack and the state has decided they will cease hunting them since most of the cattle have left that area. Profanity Peak is one of 19 packs documented in the state. Of those, 16 are located on the east side. Those wolves were removed from the federal endangered species list in 2009 and are managed solely by the state of Washington. 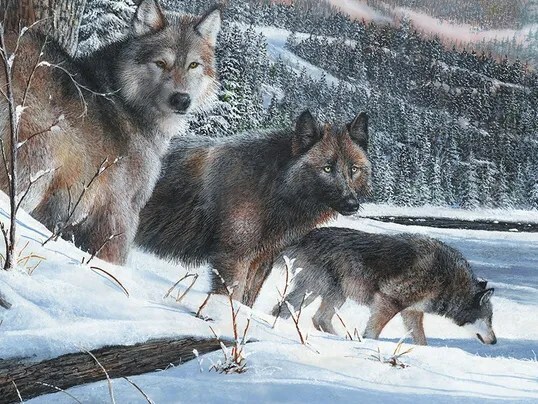 WAUSAU – Wisconsin has more than 200 wolf packs and 28 lone wolves and you can help track them this winter. Some farmers, hunters and Republican politicians want the wolves off that list and subject to hunting, because wolves can be a menace to small ranchers. But advocates for the canines say the animals play an important role in the ecosystem. Wisconsin has nearly 900 wolves this year. That’s up 16 percent from 2015, according to the Timber Wolf Alliance. Encountering a wild wolf at close range is still a rare occurrence, according to the DNR’s “Living with wolves” page. People with pets should keep them in earshot or on a leash while in “wolf country” — Wisconsin’s Northwoods. In 2014 more Wisconsin residents surveyed by the DNR viewed wolves in a favorable light compared to those with unfavorable feelings toward wolves. About 26 percent of people in areas with wolf habitats wanted the population to stay steady, and 29 percent of people outside of wolf range wanted wolf numbers to stay the same in 2014. 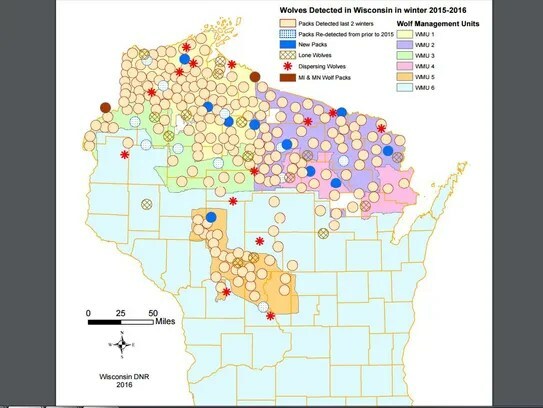 About 750 wolves made Wisconsin home in 2014-15. You can help track wolves and other Wisconsin carnivores. Volunteers have to take a wolf ecology course from the DNR, Timber Wolf Alliance or Timber Wolf Information Network as well as a DNR tracking course and a mammal track test. Volunteers complete three wildlife surveys and submit their findings to the state. A gray wolf that was seized two months ago in Harris County is now on its way to a wolf sanctuary in Washington state. The flight carrying him to a cooler climate and a recognized rescue that specializes in wolves left this morning. He was part of a seizure of more than a dozen animals from a feed store in the Aldine area. It wasn’t aggressive, it would just stand at a distance,” said Sgt Christine Hendrick, who also said it wasn’t being fed an appropriate diet for a wolf, and its enclosure was inadequate. One of the store’s owners said a man gave them the animal several years ago, because he was moving. 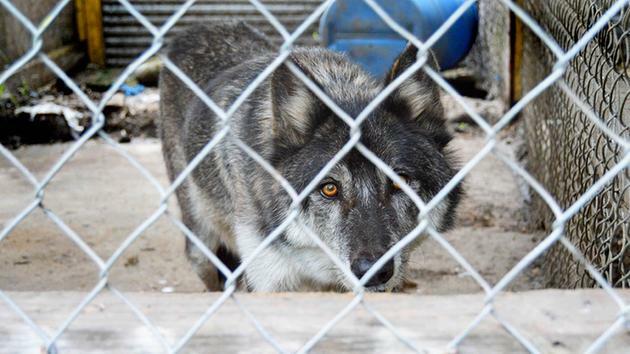 “He told us it was a wolf hybrid.” The SPCA’s DNA test showed that it was almost pure grey wolf. By law, wolves, and wolf hybrids are not allowed to be kept in Harris County. Until recently, gray wolves were on the federal endangered species list. Because of that, he was put in a covered kennel in preparation for the long flight to Washington state, so he wouldn’t react to the activity around him. Wolf Haven International is regarded as one of the top sanctuaries to care for rescued wolves. Its newest resident, who was neutered several years ago, will be paired with a female wolf. It will likely be the first time he will be with one of his kind. The wolf was not given a name by the SPCA. “We don’t name wildlife, because that’s what they are — wildlife,” said Latham. There are currently about 100 wolves in the wild in New Mexico and Arizona. The Fish and Wildlife Service said Tuesday that the new plan will be published by the deadline. “Recovery of the Mexican wolf remains our goal. 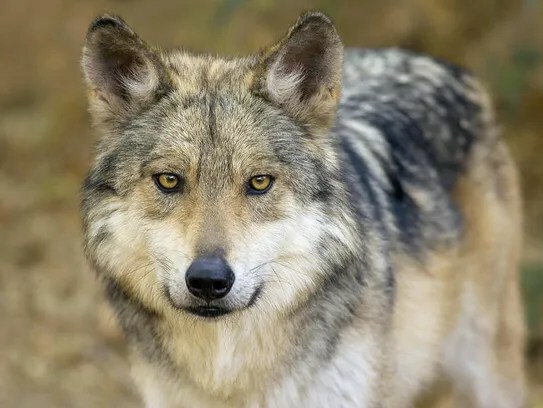 We aim to support natural wild wolf population growth and improve population genetics, eventually leading to species recovery and state management of the species,” the agency said in a statement. Blair Dunn, an attorney for opponents of the settlement, said he was disappointed with the ruling and accused the federal government of catering to special interest groups. The wolf recovery program, which spans parts of New Mexico and Arizona, has been hampered over the years by legal battles, politics and other issues. Environmentalists have pushed for the release of more captive wolves into the wild, but ranchers and local leaders have protested over concerns about livestock losses and public safety in rural communities. 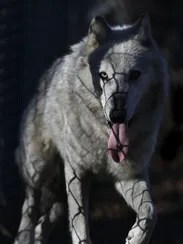 Federal investigators concluded earlier this year that the Fish and Wildlife Service mishandled the recovery program, backing up claims by one New Mexico county that the agency was not cooperating with ranchers and protected wolves even after they preyed on cattle. U.S. District Judge Jennifer Zipps wrote in her order that the settlement was the product of fair and careful negotiations and that it did not set forth any specific provisions for recovering the species but only established a deadline for when the plan will be completed. Michael Robinson with the Center for Biological Diversity said he doubts a recovery plan would have been formalized without legal pressure. He pointed to a handful of cases in which efforts to update the initial plan from 1982 stalled and ultimately failed. “It’s clear that without court enforcement, the plan would have kept being right around the corner until the Mexican gray wolf went extinct,” he said. The ruling could also affect an appeal that involves New Mexico’s denial of a permit to the federal government to release more wolves. The legal action was spurred by state concerns about the direction of the reintroduction program and the failure of the federal agency to revamp the outdated recovery plan.